The Highfield01274 611111work RestaurantThe Highfield pub opens its doors all day, every day from noon till eleven (or midnight on Friday & Saturday). Sit back and enjoy a drink from the excellent selection of Beers, wines as well as an array of spirits and liqueurs. 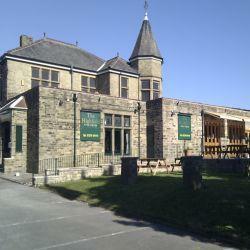 The Highfield pub opens its doors all day, every day from noon till eleven (or midnight on Friday & Saturday). Sit back and enjoy a drink from the excellent selection of Beers, wines as well as an array of spirits and liqueurs. Join the popular quiz night every Tuesday, with a free supper. During the summer months there are barbecues and family fun days – including The Highfield Festival with live music.